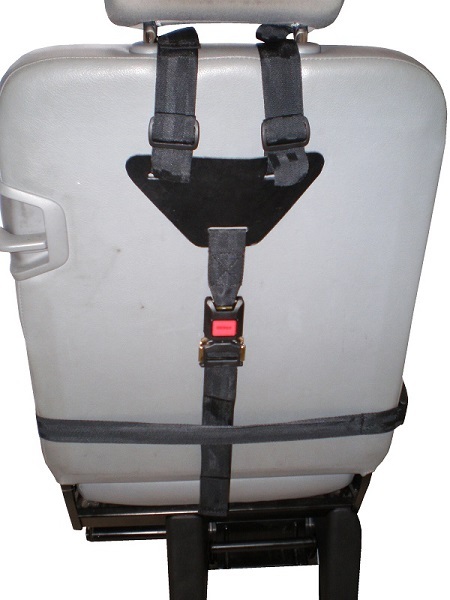 Simple and effective 5-point support harness which fits most single seats in both bus and cars. 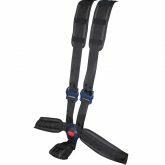 Uses a front buckle with easy adjustment to shoulder, lap and crotch straps. 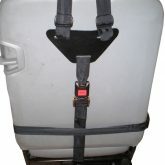 Can be moved easily from vehicle to vehicles. 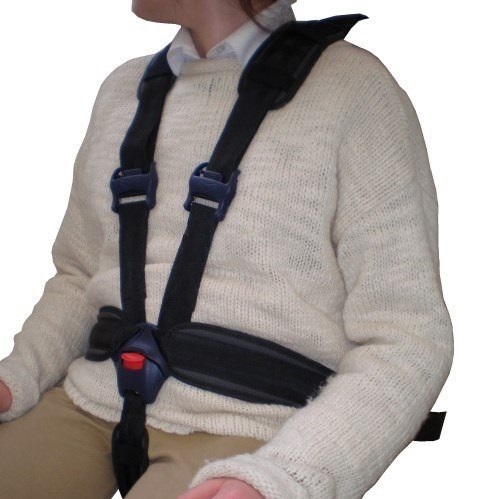 The 5-point harness support is ideal for organisations and private use. • Buckles to the front of the passenger. • Requires single type seat. • Offers Lap, Shoulder and Crotch belts. 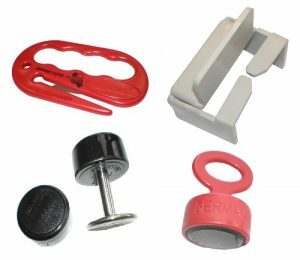 • Suitable for bus and car applications. • Provides additional support where seatbelts may not. • Easily moved to another vehicle.